DC4 is now accepting applications for apprenticeships in Painting, Drywall Finishing and Glazing. The Drywall Finishing program concludes after 3 years and the Painting and Glazing after 4 years. Come dressed for success and ready to interview! • Substitute Bus Drivers (CDL B or C) and more!! The Joint Apprenticeship Committee for Boilermakers, Northeast Area, Local # 5 Zone 7, will conduct a recruitment from May 2, 2019 through April 2, 2020 for three boilermaker (construction) apprentices. Please note that the openings listed for apprentices represent the total number for three recruitment regions: the Finger Lakes, Southern Tier, and Western regions. Applications can be obtained from Local #5, Zone 7, 5745 Big Tree Road (Rt. 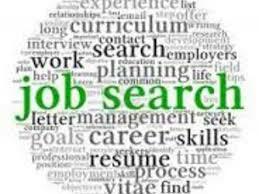 20A), Orchard Park, NY, from 12:00 p.m. to 4:00 p.m. on the first Thursday of each month, excluding legal holidays, during the recruitment period. All applications must be received no later than April 2, 2020. Detailed information is available on the Boilermakers Northeast JAC website: http://www.neaac.net/. The Joint Apprenticeship and Training Committee for Roofers, Local Union #195, will conduct a recruitment from April 1, 2019 through March 30, 2020 for 20 roofer apprentices. 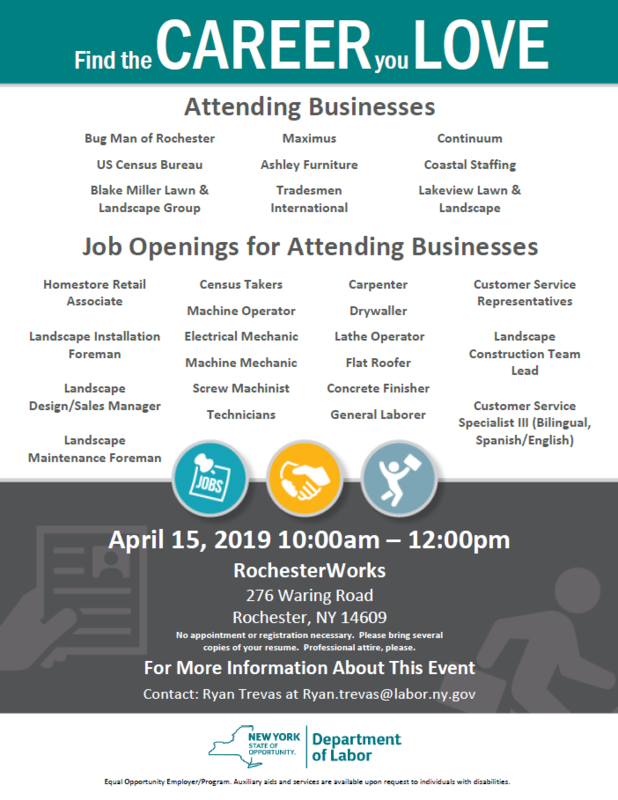 Please note that the 20 openings listed for apprentices represent the total number for four recruitment regions the Central, Finger Lakes, Mohawk Valley, and North Country regions. 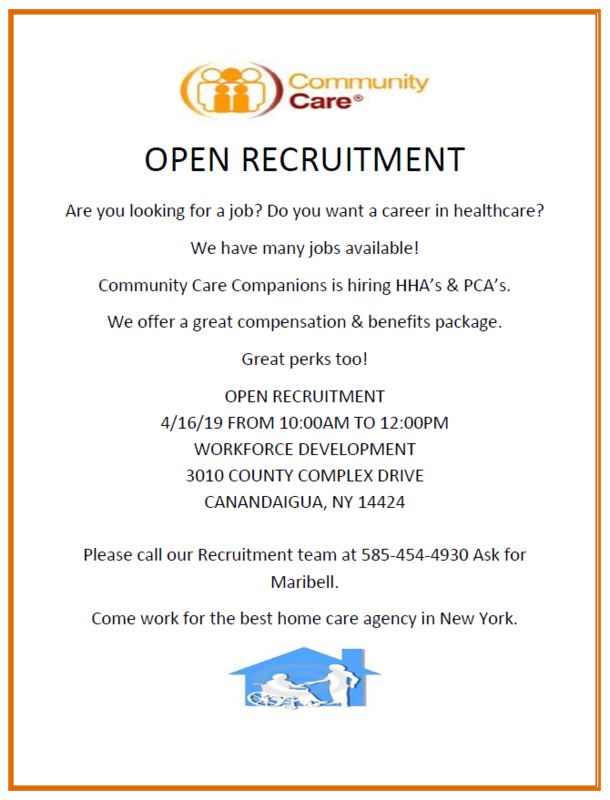 Applications can be obtained at Local Union #195, 7706 Maltlage Drive, Liverpool, NY from 9:00 a.m. to 11:30 a.m. and from 1:30 p.m. to 4:00 p.m. on Mondays, Wednesdays, and Fridays, excluding legal holidays, during the recruitment period. All applications must be received by March 30, 2020. 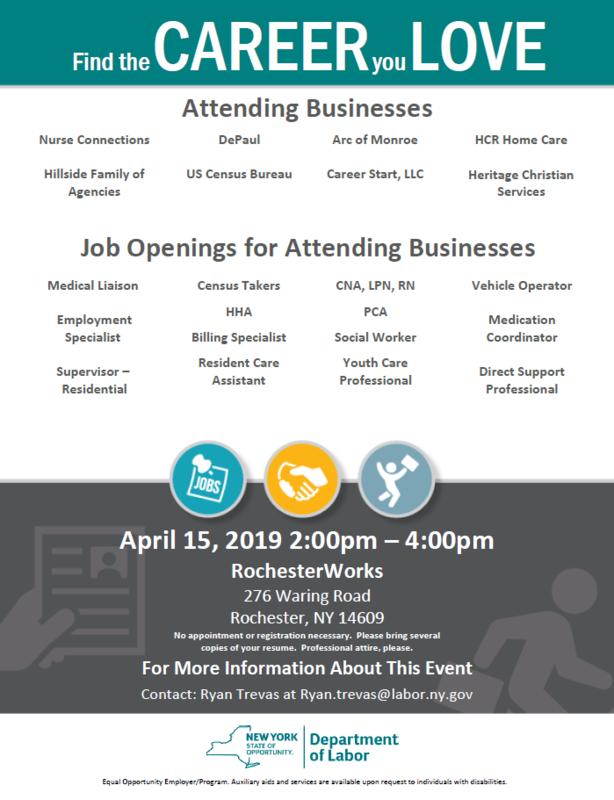 The Finger Lakes Workforce Investment Board, Inc. WHEN: Thursday, June 6th, 2019 9 a.m. to 1 p.m.
WHY: Non-profit organizations have important missions to accomplish in today’s society. Every Executive Director wants to dedicate all funds to accomplish the mission. There is seldom any left over to help develop themselves and their management team. This program is intended to support the management teams of non-profit organizations by helping them to improve their leadership skill sets without diverting funding intended for their mission and clients. WHO: Supervisors, Managers and Directors of non-profit organizations. Actually, anyone who has to get work accomplished through others’ efforts.